Color ranges vary from yellow and rust to light grays. 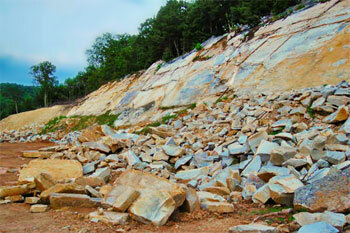 Bull Run® Stone is beautiful used by itself, and it pleasantly complements other stone when used in a mix. For more information or discuss your next project, please call us at 703-753-2222. © Bull Run Quarries 2009-12. All Rights Reserved.